Six people have been shot dead and three wounded in three locations near Philadelphia, officials in Pennsylvania say. Montgomery County law enforcement are seeking the suspected gunman, who they named as Bradley William Stone, 35. They say he may be armed and dangerous, telling residents to remain indoors. 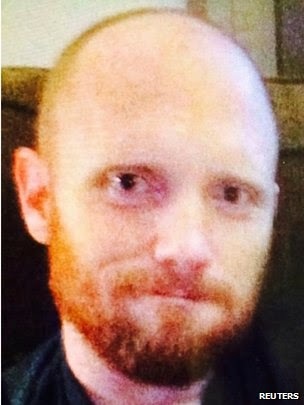 The victims are all said to have a familial relationship to Mr Stone, who has been described as having red hair and wearing military fatigues. He also reportedly uses a cane or a walking stick. The shootings in Harleysville, Lansdale and Souderton began at about 04:00 local time (09:00 GMT), according to local media reports. Neighbours said they saw the suspect leave the house with two children, amid reports that the shooting may have been triggered by a custody dispute. The children were reported to have been found safe a short distance away, says the BBC's Barbara Plett-Usher in Washington.